Saudi Arabia's King Salman walks past Russian honour guards during a welcoming ceremony upon his arrival at Vnukovo airport outside Moscow, Russia October 4, 2017. 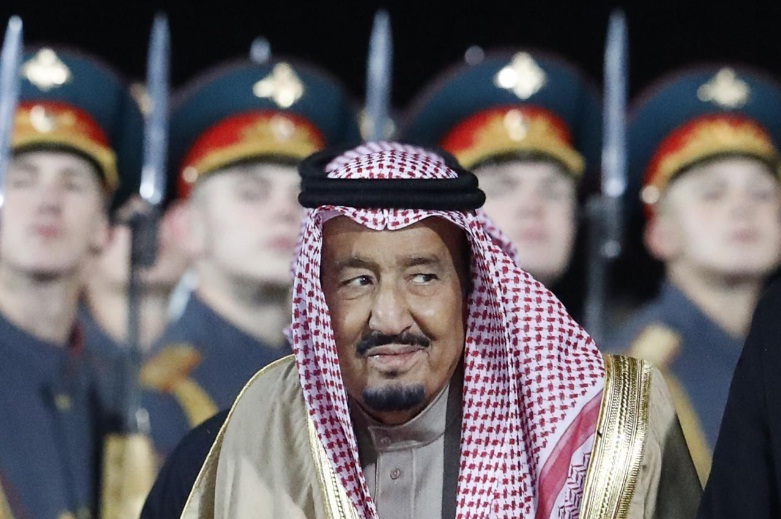 MOSCOW - Saudi Arabia’s King Salman said at the start of talks in Moscow with Russian leader Vladimir Putin on Thursday that the territorial integrity of Iraq must be preserved. In opening remarks broadcast on Russian television, the king said a political solution to the conflict in Syria must be found that keeps that country in one piece. He also said the international community must take responsibility for what is happening to the Muslim Rohingya community in Myanmar. Saudi Arabia’s King Salman said at the start of talks in Moscow with Russian leader Vladimir Putin on Thursday that the territorial integrity of Iraq must be preserved.